Handling PDFs on your mobile devices can be tricky, especially if you find yourself lacking a good mobile app to handle your files. Luckily for you, we have just the app to fit your needs! PDF Converter Ultimate is one of the most versatile file converters on the market so far! Cometdocs developed this app in the last months of 2016 hoping to make 2017. a better year for dealing with pesky formats such as the PDF. This is probably the most underrated feature of PDF Converter Ultimate, but also one of the most improved upon. Text file conversion is perfect for converting your HTML and CSS files since they are basically huge text files. You can also use this as a tool to quickly edit your PDFs and then convert them quickly back to PDF since the conversion goes both ways! If you need to edit some basic text and send it back to PDF, the previous option might be a better choice than converting your PDF to Word files. However, if you have a lot of formatting in your file that you don't want to lose, then you should consider converting that PDF to Word. Word files will keep all the images, tables, layout and such in the original but allow you to edit the content of the PDF. Have you ever tried to fit a big Excel sheet in a PDF? Sounds impossible right? Well, not with PDF Converter Ultimate, as you can convert any Excel sheet no matter how big it is, or how much data it has. All that matters is having your internet connection at all times while the conversion is running and a little bit of patience for the app to work its magic! If you are a teacher teaching the same curriculum, year after year, this might be the app for you! Given that many educators have lots of PowerPoint presentations saved on their iPads and tablets, maybe converting some of those would be a good idea! Since PowerPoint files can often be extremely big, converting them to PDF is an opportunity to get some free space on your hard drive. Once the lesson is over, take that PowerPoint and convert it to PDF so you can save data loss, forward it to students that missed class, or perhaps something else! 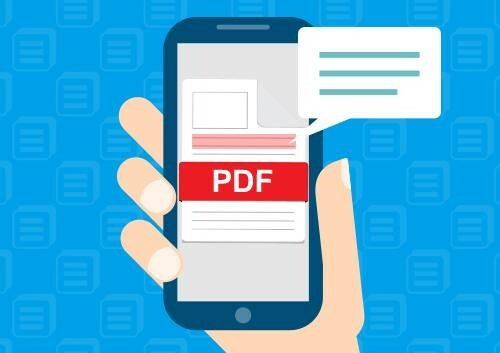 PDF Converter Ultimate also offers PDF to JPG conversion, which means that whatever photo or image you need converted to PDF, or taken out from a PDF, can be done with this app. It is very simple as all it takes is a couple taps of a button and you should be well on your way to converting your first image of the day. Converting files from one format to another sometimes just isn’t all you have to do. Editing files is also a big part of document management. As of the last update, PDF Converter Ultimate does not have an integrated editing feature, however this only means that we leave it to you to decide which editing app feels best! Let us know what you think about PDF Converter Ultimate by commenting below or on the app stores!